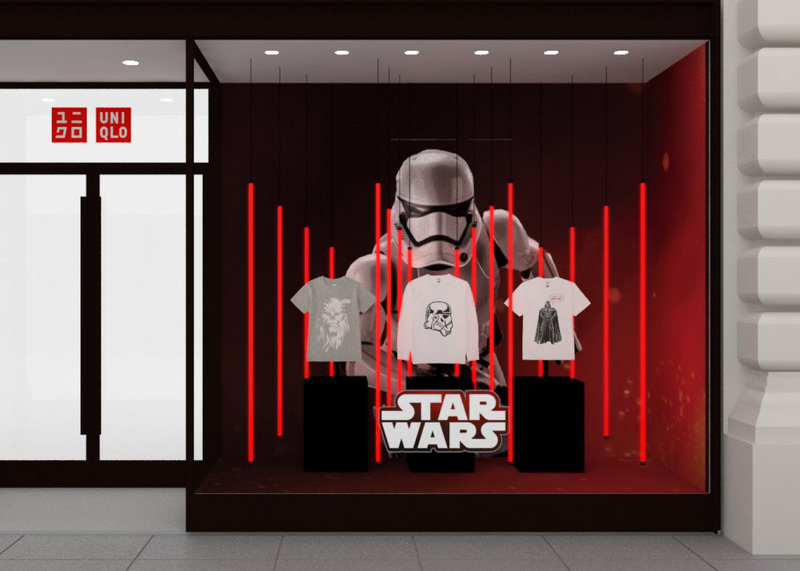 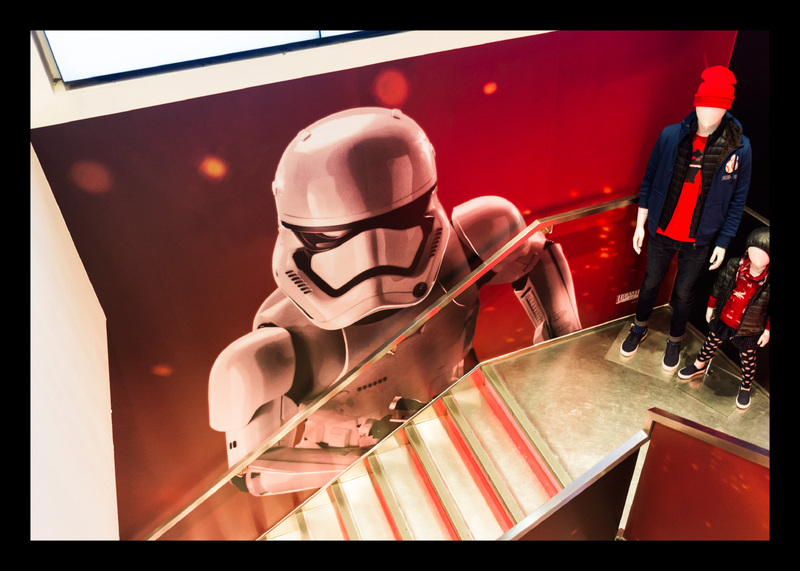 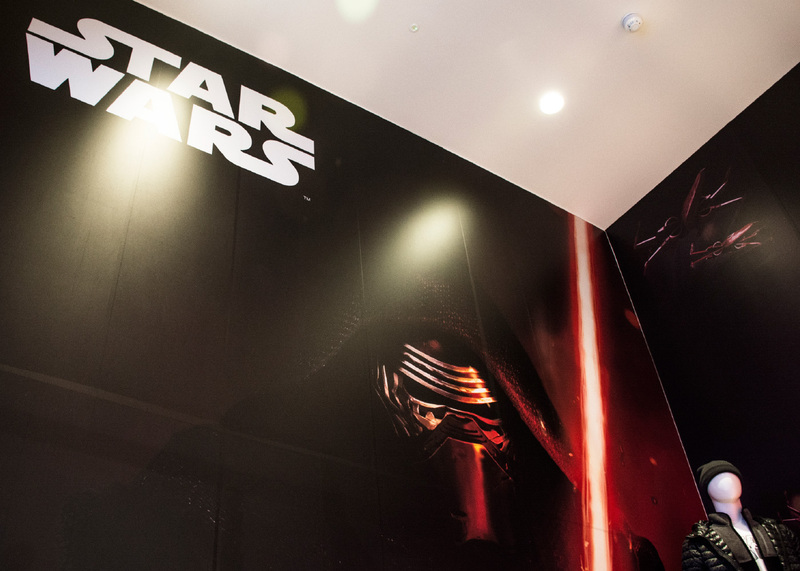 To coincide with the latest cinematic release, Uniqlo collaborated with Star Wars to produce limited edition T-shirts as part of their UT Collection. 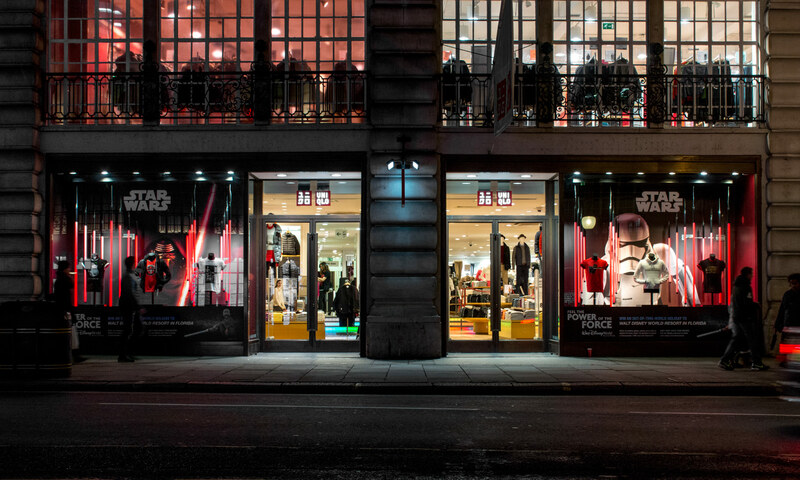 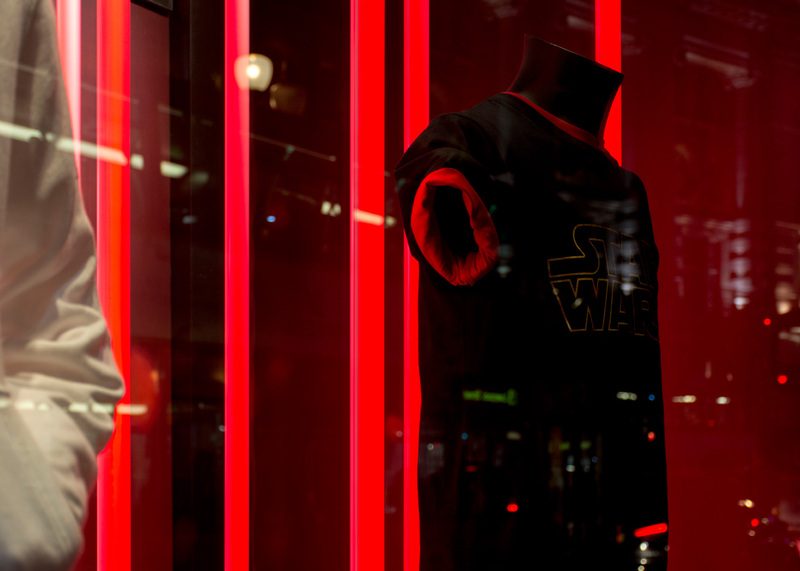 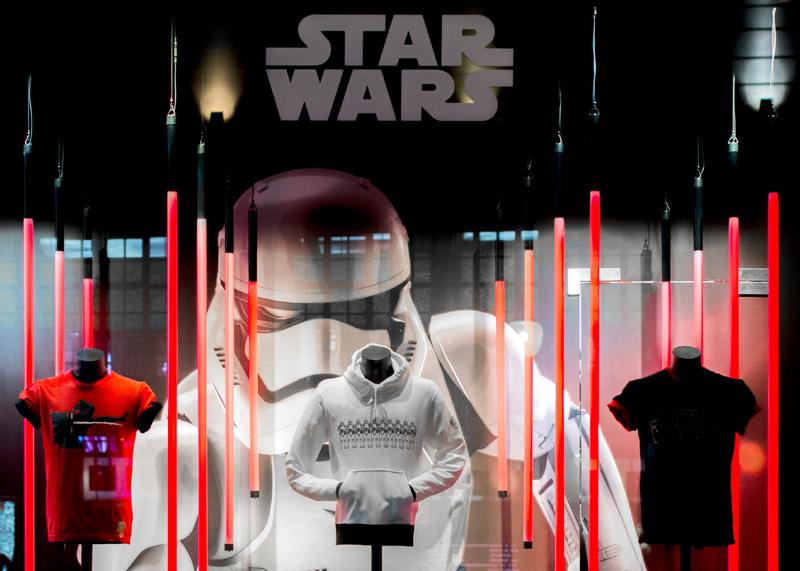 To showcase these products, we created a window display at their Regent Street street store using red tubular lighting, reflecting the iconic light sabres. 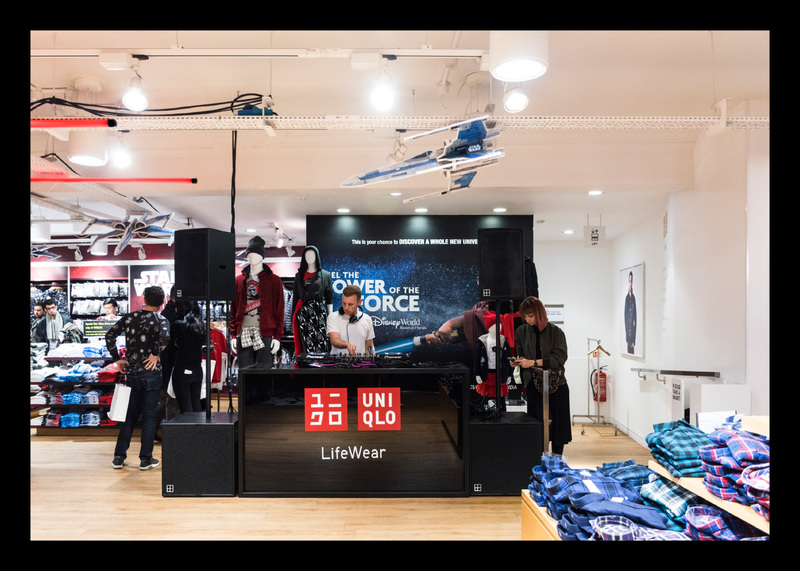 We also designed and produced large format graphics throughout the store.